Tune into Radio Carly: Seven books to help kids with Ichthyosis (and help kids learn about Ichthyosis). 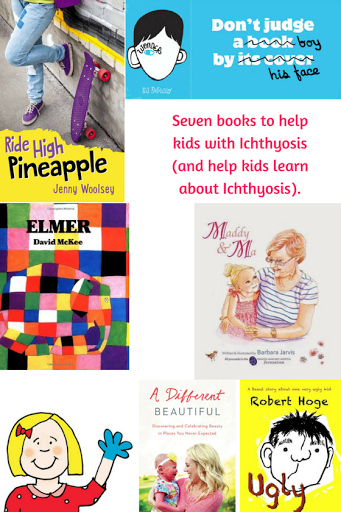 Seven books to help kids with Ichthyosis (and help kids learn about Ichthyosis). Last week, a mum in one of the Ichthyosis groups I belong to asked about books to teach kids about Ichthyosis (and visible difference). The thread was soon filled with suggestions - and I asked if I could collate them and others I've found useful into one blog post. They said yes, of course. It's a great community. I've put together this guide to books suitable for young children, older children and parents, and also some school resources for parents and teachers. They are relevant for kids and adults with all sorts of visible differences too. Among them, three of them have been written by parents or grandparents of children with Ichthyosis, and four are by Australian authors. Perfect! I've read them all! If you are parents of children with or without visible differences, I'd love it if you could take some time to read this, to help teach your kids about what it's like to look different. Reading just one of these books to them might just make the difference to a little one who is excluded because of the way they look. 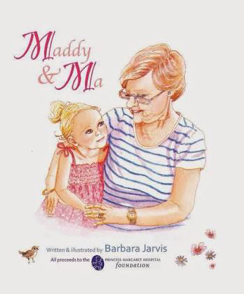 Maddy and Ma, by Perth-based Barbara Jarvis, is based on a true story - the bond between a little girl and her brother (who both have Ichthyosis) and her grandmother. "Maddy and Toby have learnt there are certain things they can’t do because of their skin condition but their family have always focussed on what they can do rather than what they can’t do. I think it’s so important that we instil in our children a sense of self-worth and a positive approach to life, whatever their situation. Maddy and Toby have grown up used to regular visits to the “skin doctors” and daily “creaming” to ease their skin’s dryness and itchiness because they “have a skin condition”. I once saw a TV documentary on dolphins and learnt about the rare pink dolphin. It struck me that Maddy is like that rare and very special pink dolphin. She loved the analogy." Written by my friend Ainsley Kyder-Gould, whose young daughter has Ichthyosis, True Blue Hand helps to start a conversation about appearance diversity. Ainsley wrote about the book on my blog earlier this year. Ainsley and her beautiful family live in Melbourne and I love catching up with them. "True Blue Hand is a sweet tale of a little girl who happened to be born with a unique blue hand. Through a children’s conversation at the park the story promotes a positive example of how to be curiously kind when dealing with uniqueness." I was recommended Elmer by Random House, who provided books for the kids at the Australian Ichthyosis Meet in 2015. I used some of the crowd funding to ensure all the little ones had this book. Some mums have told me the book has really helped their kids. 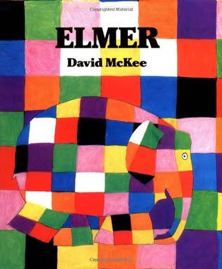 "The stories are suitable for early exploration of the themes and issues relating to the concept of diversity, as Elmer discovers that when he tries to change his appearance in order to 'blend in' with the other elephants, they no longer recognise him, or accept him as one of their own. This makes Elmer sad, and he experiences how it feels to be treated like an outcast, after being ostracised by his old friends. It's only when it begins to rain, and the grey paint that Elmer has covered himself with starts to disappear, that Elmer's 'true colours' are revealed, much to the surprise and delight of his friends, who preferred his multicoloured and fun loving persona. Following their happy reunion, the elephants reassure Elmer that they love him because of his differences, and not in spite of them, and they celebrate by painting themselves in multi-coloured paint, in recognition of Elmer's unique appearance and personality." 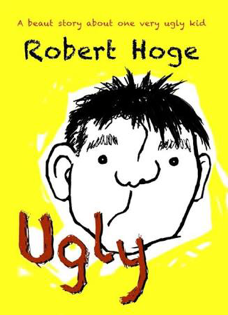 Ugly, by Robert Hoge (from Brisbane), is an adaptation of his 2013 memoir - especially for young readers. I did an interview with Robert here. "Robert Hoge was born with a tumour in the middle of his face, and legs that weren't much use. There wasn't another baby like him in the whole of Australia, let alone Brisbane. But the rest of his life wasn't so unusual: he had a mum and a dad, brothers and sisters, friends at school and in his street. He had childhood scrapes and days at the beach; fights with his family and trouble with his teachers. He had doctors, too: lots of doctors who, when he was still very young, removed that tumour from his face and operated on his legs, then stitched him back together. He still looked different, though. He still looked ... ugly. Ugly is the true story of how an extraordinary boy grew up to have an ordinary life, and how that became his greatest achievement of all." Wonder is written by RJ Palacio and I've devoured it in a day. Wonder is a fictional children's book about August (Auggie) Pullman, a young boy born with a facial difference. He's got a genetic condition which affects his facial structure and his hearing. RJ Palacio was inspired to write this book after an encounter she had with her sons and a little girl with a visible difference. As a reader with a visible difference, I will say that it's very well researched. It could well be an account from an actual person. "I won't describe what I look like. Whatever you're thinking is probably worse." We never know what Auggie looks like but we get an idea from how he's treated. Wonder documents his first year in mainstream school - the challenges of making new friends and fitting in. The descriptions of being a primary school student who looks different brought back many memories for me - it's interesting reading it from a young character's perspective when I've experienced similar. Auggie is teased, excluded (some of the other students invented a game called The Plague, where they believe if they touch Auggie they'll catch something), and physically bullied. He has a few genuine close friends but it takes a while to feel accepted. This has been one one of my favourite books of all time. Again, I gave all of the older children and adults with Ichthyosis a copy at last year's meet. One of the tweens who attended told me she treasures the book. 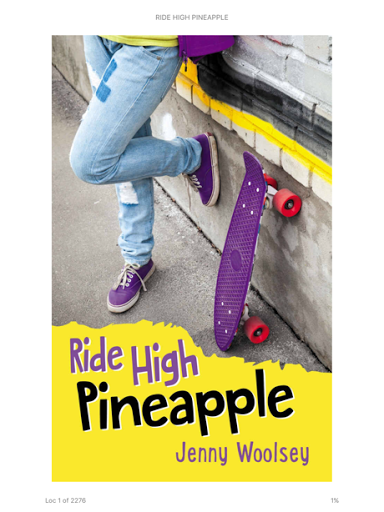 A blog reader turned friend wrote to me to tell me she has penned a booked called Ride High Pineapple. Jenny Woolsey, also from Queensland, has Crouzon syndrome, and her daughter does too - so she has firsthand knowledge of what it's like to live with a visible difference. It's the story of Issy, who has a facial difference, getting bullied and then developing a strong sense of resilience through finding a hobby and having an adult mentor to show Issy her worth . It's a great book for young teens. I enjoyed this book and wish I had it when I was a teen. Buy Ride High Pineapple here. 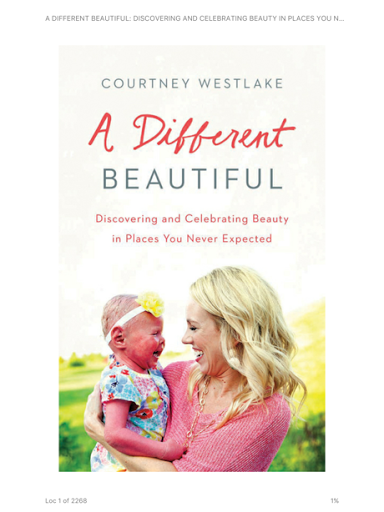 Written by Courtney Westlake mum of Brenna, who has Ichthyosis, A Different Beautiful is a journey of raising a child with Ichthyosis. I found it to focus on religion more than Ichthyosis, but it has some good messages about how to talk to children about visible difference. This passage was my favourite of the book. "More times than I can count, I have been thrilled when a family has approached us who has recognized us from social media, wanting to say hello… only to be dismayed when that family’s children stand back and furrow their brows at Brenna’s appearance. It is clear that although the mother has apparently enjoyed reading about our daughter and seeing our family’s photos online, she never took the time to share with her children. Often mothers will share with me how Brenna’s story has helped changed their perspective regarding special-needs parenting and differences, but then, it is obvious by the confused reactions of their kids that they haven’t yet thought to pass those lessons on to their children. If we allow stories and experiences to inspire us for a moment, or even to begin changing our hearts, but we don’t take the time to show our children and teach our children about these new perspectives, we are missing the point. If it starts and stops with us, we will never see real and lasting change in the hearts of those around us and in the way our children see themselves and treat others." 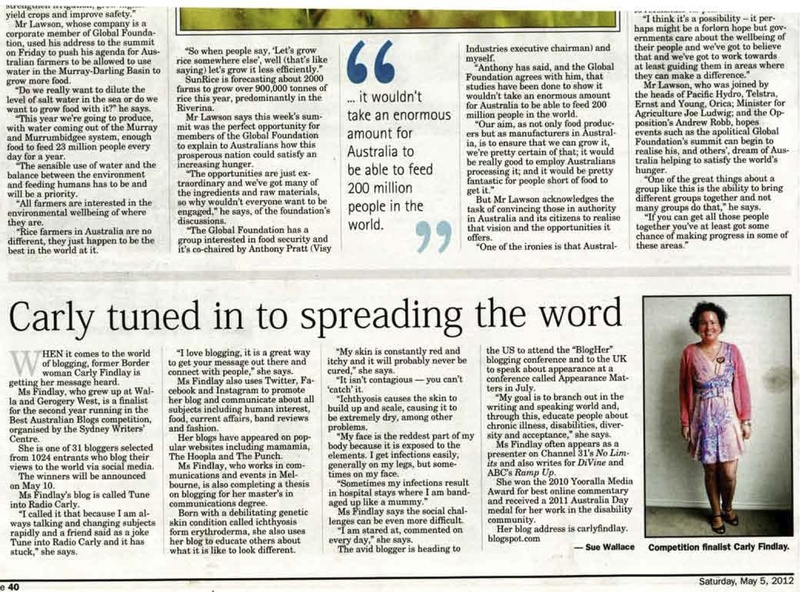 These resources I've collared are so needed because, as parents tell me, their children with Ichthyosis are still being teased and excluded at school. It might well be because parents aren't talking to their kids about appearance diversity. Buy A Different Beautiful here. 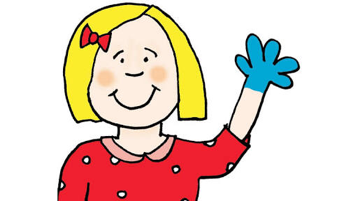 The Ichthyosis support group in the UK has an excellent pre-school and primary school resource - for teachers and students. Download that here. The Ichthyosis Support Group also has a story booklet that you can get here. Changing Faces school resources features information for teachers and students at all stages of the education system. View those resources here. It also features a kit on teaching Wonder. how to prepare children for meeting someone with a visible difference. Are there any more resources you recommend? Has this post helped you in some way? Perhaps you'd like to buy me a drink for my efforts in writing this blog. Carly Findlay Morrow - my son devoured Wonder (and then I did too). It is such a fantastic book! I've tried with Ugly, but Sam has resisted, because he doesn't like the concept of someone labelling themselves that ('That's unkind - and not true' - I've tried explaining why he used this title, but haven't pushed it). So we haven't quite got to this one yet. It does look very good though.